VOD is a service that enables immediate downloading and viewing of videos either in real-time or for future consumption. It is a common business scenario which requires strong infrastructure resources to handle large and periodic business load fluctuations. 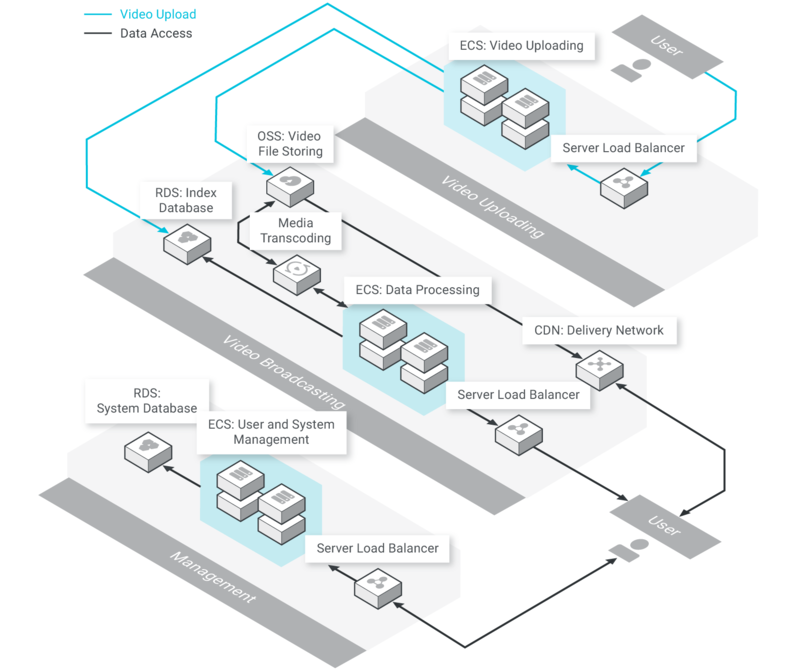 Traditional solutions face challenges such as delays in simultaneous video uploading, processing, streaming, playing, and uncontrollable peak traffic caused by burst services. This solution is divided into three modules: video uploading, video broadcasting, and system management. In the video uploading module, video files are stored on Object Storage Service (OSS) while the segment index is stored in an RDS database. OSS can also be directly integrated with Media Transcoding and CDN to provide video file transcoding and delivery capabilities. The video broadcasting module creates an external web service for real-time viewing capabilities. The Server Load Balancer instance receives access requests from user terminals and submits them to ECS instances (web servers) for processing. The web servers can then perform user and device verification, retrieve the index database, and search the video index to retrieve the required videos. Finally, the system management module manages user information, devices, and other related services.